DIY Dyed Macrame Plant Hanger – No Knots Necessary! Now that summer is here it is time to decorate the patio just like any other room in my house. Throw pillows, rugs, couches and now DIY dyed macrame plant hanger. 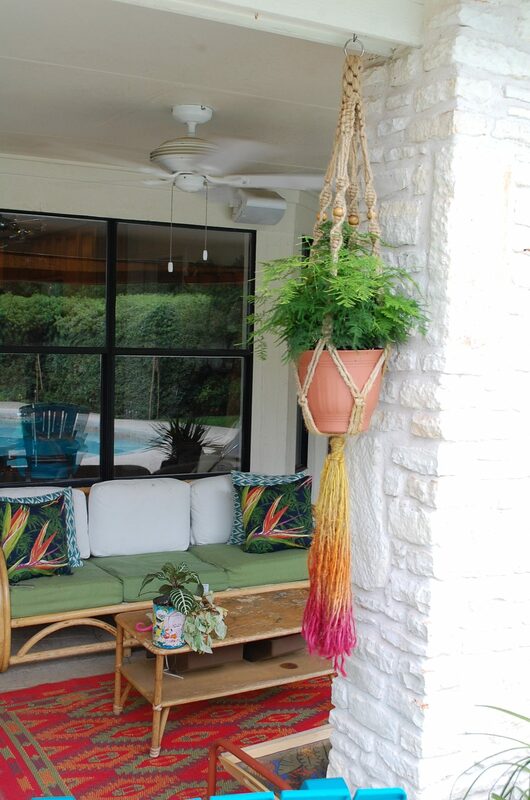 I love the extra pop of color the dye job gives these earthy and otherwise drab macrame hanging planters. The best part about this project is that it uses a readymade macrame planter. No knotting necessary because it is already done for you! 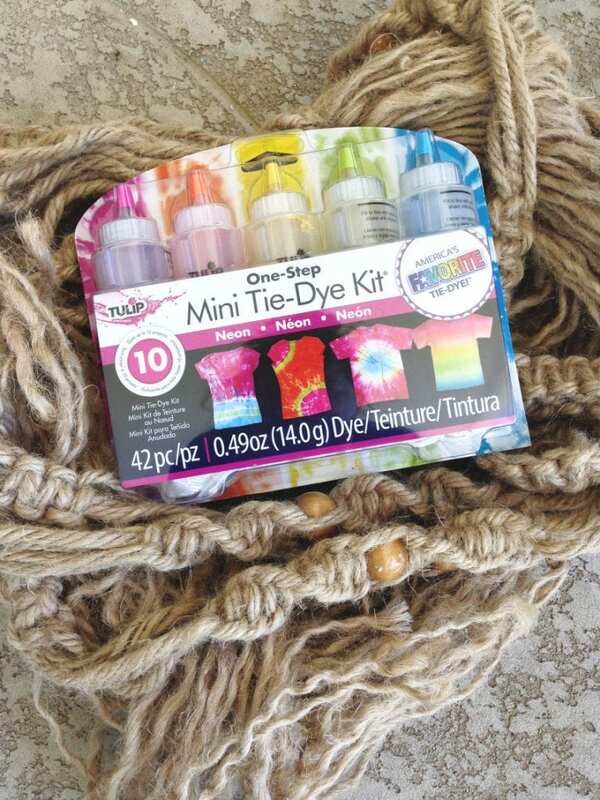 The DIY part comes from dying the jute hanging planter ombre with fabric dye! Feeling sassy and want to get knotty? Over on DIY Network check out my article How to Make a Macrame Hanging Planter. 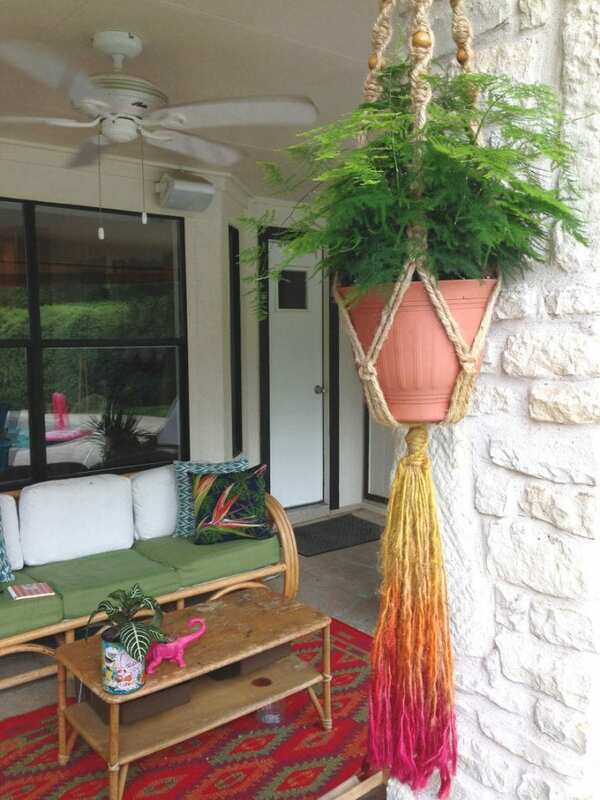 I used a jute hanging planter, but cotton macrame plant hangers will take dye as well. Begin by rinsing the hanging planter well. This will remove as much sizing as possible. While the material is wet (not soaking) place it in a bin or outside in the grass. 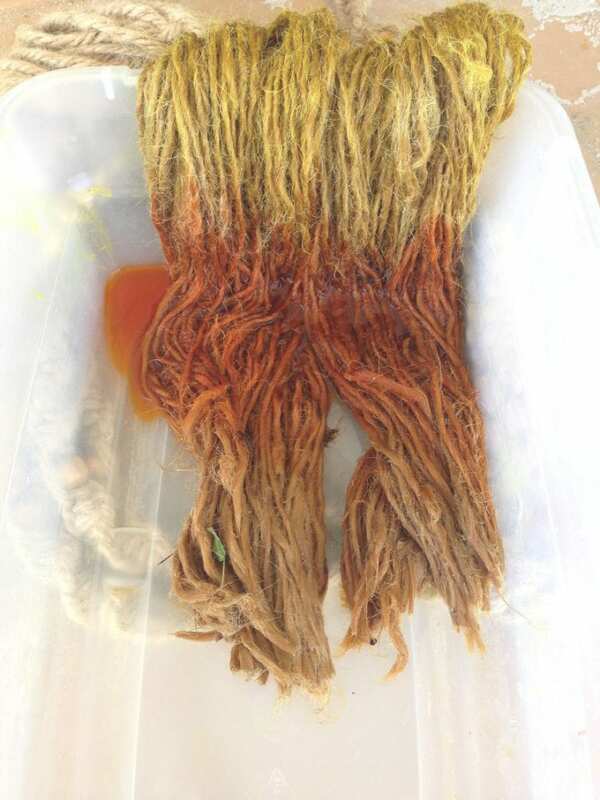 Start at the top and add fabric dye. P.S. Readymade macrame plant holders also look great dyed in a solid color. Check out how to Turn A Pumpkin Into a Spooky Halloween Hanging Planter for more. Keep dying down the material on the planter one color at a time to achieve the ombre look. Keep the planter flat so that gravity does not cause the colors to bleed into each other too much. Love the look? I’ve got 3 DIY Ombre Planters Perfect for Summer that might tickle your fancy. Boom look at that cute hanging planter you just made. Well you didn’t make it, but look at that plant hanger you just embellished and made so stinking cute. Go you! Nothing is safe from you and your ombre dying skillz. 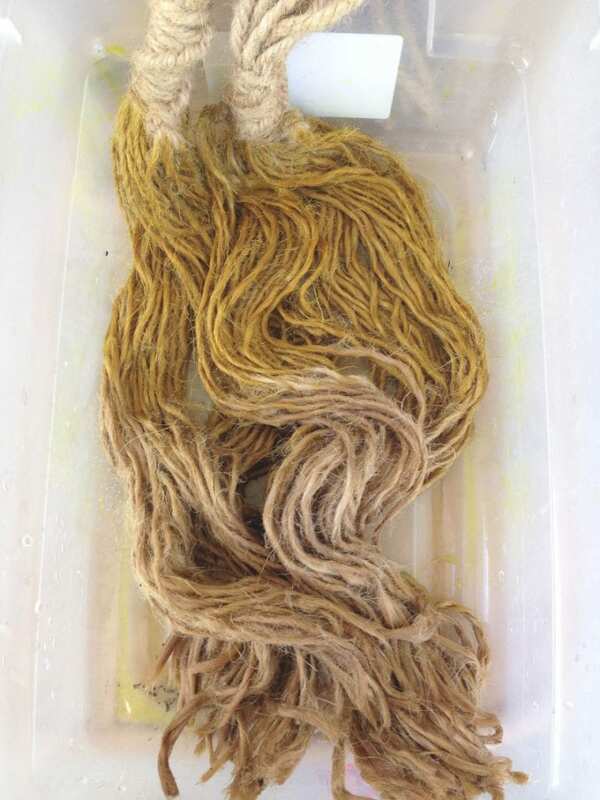 Never underestimate the power of a good dye job – including the ones you give to a set of store bought readymade macrame plant hanger. Let me know if you give this project a swirl. Posted June 9, 2014 & filed under Crafts, Home Décor Crafts, Plant Crafts. i love your whole vibe out here! 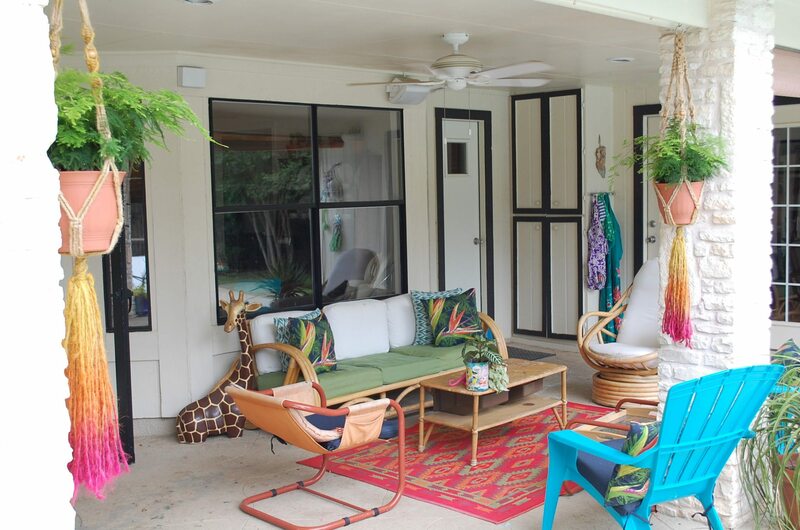 Love your happy and bright patio. The plant hanger adds some extra fun.